Viewed side by side, there's little apparent difference between a glass of brandy and a glass of cognac. Yet, brandy can cost just a few dollars while high-end cognacs can fetch tens of thousands. The difference is that cognac is a premium form of brandy, crafted -- like American bourbon whiskey -- in a very specific fashion. Not all cognacs are exceptional, but at their best they're among the world's outstanding spirits. The French poetically refer to their brandies as "eau de vie," or "water of life," and the best of them are prized like few other spirits. In France and elsewhere, they're made by distilling wine into a raw, concentrated spirit, then aging that high-octane liquor in oak barrels as it mellows into a richly flavorful and complex maturity. A few very special brandies, most notably cognac, have legal protected-origin status that specifies where and how they're made. 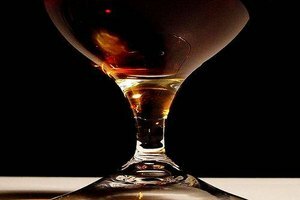 The difference between cognac and brandy, then–to state it simply– is that all cognac is brandy, but not all brandy is cognac. Brandy-making begins with wine, and works best when made from wines that would be frankly mediocre for ordinary drinking. They must be high in acidity, and low in alcohol and residual sugar. The wine is heated gently in a still, where the volatile alcohol evaporates more quickly than the wine's water. These concentrated vapors are cooled and condensed, and the resulting very pure alcohol is matured in oak barrels. The longer it ages, the mellower and more complex it becomes. The aging ties up the distiller's capital, so well-aged brandies are typically more costly. Cognac is a brandy from a specific section of Charente, about two-thirds of the way from Paris to Bordeaux. The region is a patchwork of roughly 15,000 vineyards, some dating back to the Roman Empire, and French law describes in minute detail which grapes can be used in the production of cognac. Local winemakers discovered, as far back as the 12th century, that distilling their wine made it a higher-value export. Fortuitously, the wooden barrels used to store the outward-bound spirit improved its character tremendously. Modern industrial brandy is produced in high-efficiency column stills, going from wine to concentrated spirit in a single step. Cognac employs old-fashioned copper pot stills, which refine the spirit in individual batches rather than as a continuous process. 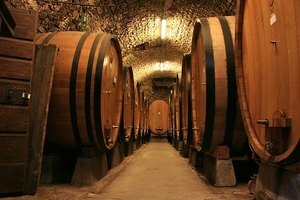 The wine is distilled twice, first concentrating it to approximately 30 percent alcohol and then a second time to around 70 percent. The spirit only develops its characteristic aroma and flavor notes after 10 to 15 years of aging in the local oak. 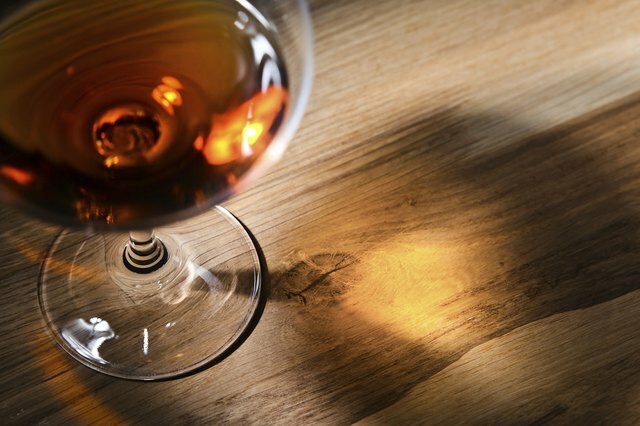 Cognac houses blend older and younger brandies in closely controlled proportions to give their product a consistent, recognizable character year after year. At the end of the day, any discussion of cognac versus brandy boils down less to science and history than to what should go into your glass. If the Sidecar is your favorite cocktail, don't mortgage the house for a premium cognac. Any decent brandy, or a lower-end, mass-market cognac, will be fine. Save your premium cognac -- or Armagnac, or any other fine brandy -- for sipping. Don't use the traditional big snifter, which tends to dissipate the spirit's aromas. Smaller, tulip-shaped glasses, or even champagne flutes in a pinch, will concentrate the vapors near the lip of the glass for your enjoyment.